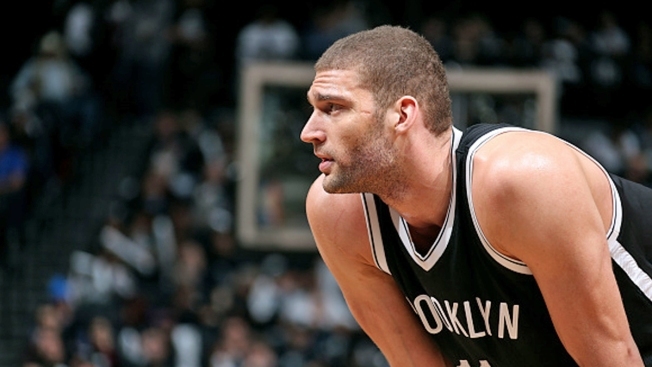 Nets center Brook Lopez finished with 22 points and 13 rebounds. Brook Lopez had 22 points and 13 rebounds, Thaddeus Young added 18 points and 11 rebounds, and the Brooklyn Nets beat Atlanta 91-83 on Saturday to cut the Hawks' lead to 2-1 in the Eastern Conference series. The Nets seized control with an 18-0 run spanning the third and fourth quarters after the Hawks grabbed their first lead since the opening basket, then went on to beat the No. 1 for the first time in seven meetings this season. Bojan Bogdanovic added 19 points for the eighth-seeded Nets, who can tie the series with another victory here Monday night in Game 4. DeMarre Carroll scored a playoff career-high 22 points for the Hawks, who were denied what would have been their second 3-0 lead since moving to Atlanta in 1968. Paul Millsap added 18 points and 17 rebounds. The other three East series were all 3-0 entering Saturday, but the Hawks won't be able to wrap this one up quickly after getting poor performances from All-Stars Kyle Korver (two points, 0 for 5 on 3-pointers) and Al Horford (3 for 12, seven points). Still, they had recovered from a poor start to grab the lead late in the third quarter before the Nets put together their big run.